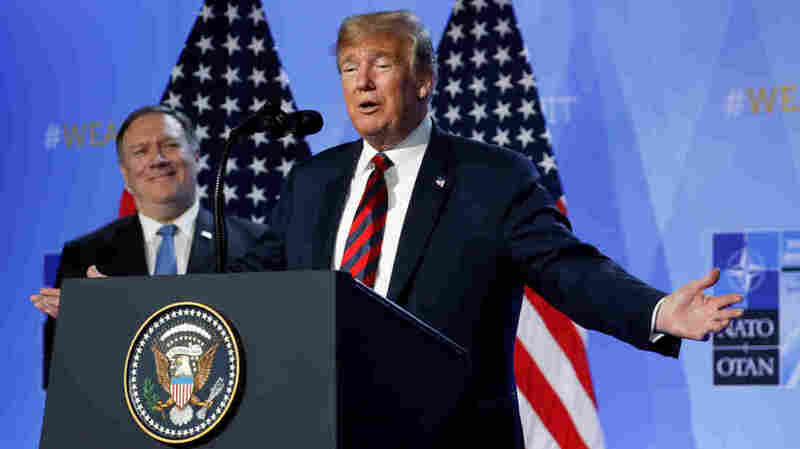 Trump Says 'No Problem' In NATO, Touting Allies' Spending Pledges At a news conference in Brussels, the president reversed his earlier criticism and said NATO is stronger than ever. Addressing a question about his consistency, he said, "I'm a very stable genius." President Trump said Thursday that he has succeeded in getting U.S. allies to pledge more money for the alliance. Secretary of State Mike Pompeo looked on at a news conference after the NATO summit in Brussels.